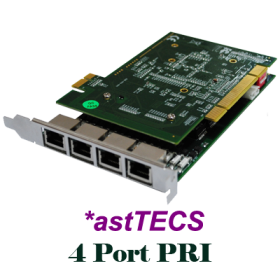 *astTECS offers *ast 4 PRI, the four port digital PRI card at the market competitive rate. 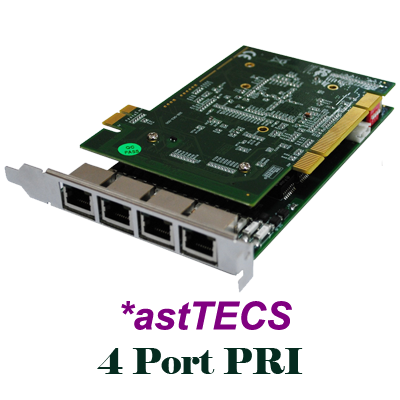 The *ast 4 PRI card is capable to support up to 30 voice calls per span, full-duplex data throughput. The card can be used to create powerful PBX system with Asterisk – the open source platform.